In the year of our lord 2012, I am beginning to be ashamed to be a Christian in America. We are allowing queers, lawyers, atheists and unproductive losers take control of our country and dictate our culture. We are allowing the great Christian foundation upon which America was built to be decimated by the enemies within, spearheaded by lawyers and courts whose only god is power and money. And to make it even worse, we are giving a pass to Islam to murder our brothers with impunity and continue on their stated goal to control of the souls of all people. For some two thousand years Christians have stood upon their mighty foundation and never blinked when facing the devil’s disciples and their never ending mission to eliminate Jesus Christ from the world stage. For some two thousand years Christians have sacrificed all including their lives for their belief in their God and His words. They founded the greatest nation on earth in His name and with His love and spirit as the inspiration for their unique experiment to give mankind the ultimate garden in which to bloom. Today Christian homes and churches are being burnt to the ground; many time with the families in them. Everyday around the world Christians are being slaughtered by Muslims in the name of Allah. In America Christianity has been eliminated from our schools and our public square. And day after day America’s religion (see video ) is being decimated by lawyers in black robes at the behest of those who seek to transform America into a secular socialist Sodom and Gamorrah. 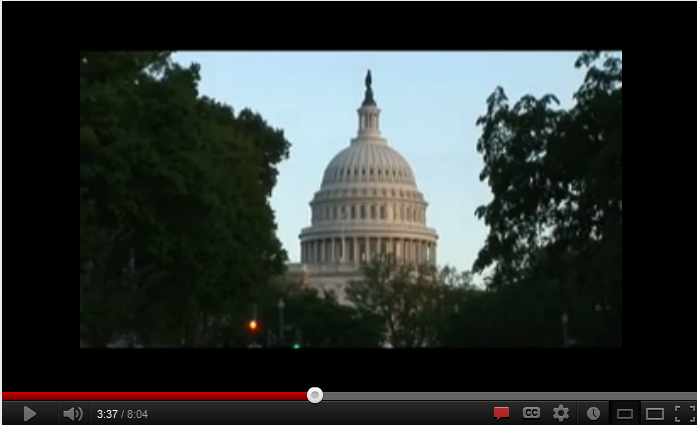 The U.S. Capitol Building – Once America’s largest church. Click Image to Take the video tour. So what happened to the commitment, the strength, and the resilience of the greatest and most productive religion ever? First; Americans have been brainwashed by the lawyer culture into accepting judges opinions as law. This is in direct violation of Article-One Section One of the Constitution. 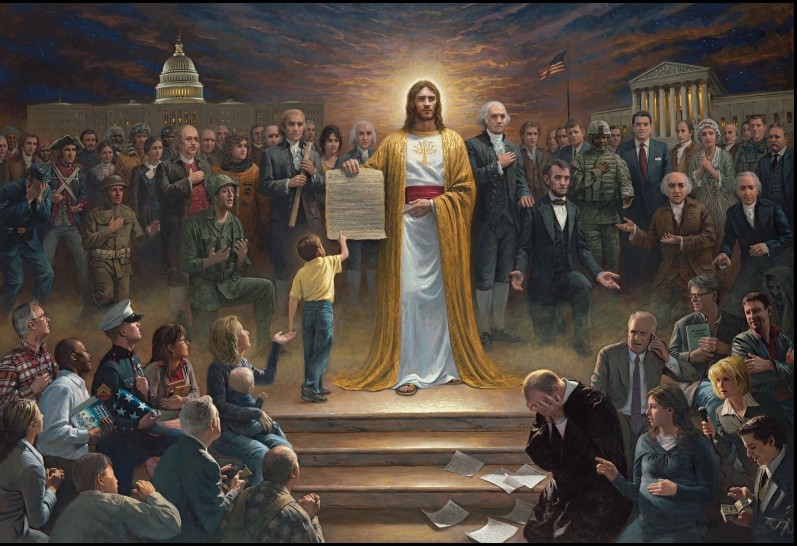 Second; By banning Christianity from schools and the public square, the government and the judiciary have violated the First Amendment. No real fight or even outcry from the American Christians even though they comprise over 85% of the population!.. Third; There is no real Christian leadership. The Pope, the highest position of leadership in Christendom, has terrible leadership talents when it comes to organizing his billions of followers to enforce their rightful beliefs on the secularists who so easily diminish them on a daily basis. Fifth; The Christian people have become weak and timid. They have taken the admonition of ‘turn the other cheek’ and perverted it to the point where they have become suicidal in their apathy towards evil such as Islam or anti-Christian coalitions in America. While Christianity is being demolished right before their eyes, they are afraid to even ‘offend’ anyone with mere words, rather alone sacrifice their lives as their forefathers did for two thousand years. Just so weak and stupid. The ‘Good Guys’ are just handing our country over to ‘the Bad Guys’ and all they do is blab and complain and ‘turn the cheek’ as ‘The Bad Guys’ devour America! SHAME on Christians for giving up so easily what so many BRAVE men have died to defend. In short, if Christians don’t wake up soon, then they can kiss goodbye to God, family and a civilized world. Here are some very insightful articles on this very subject. Any Christian should read these and then send them on to his friends, family and his own preacher and ‘spread the word’ in the Christian community. I go to church, the minister preaches, I go home. That’s what Christians do now.